"Mad As In Angry. Or Just Plain... NUTS"
This movie is about a girl named Claudia Drapier, who, in defending herself killed Allen Green. After this crazy incident happened, Rose, her mother and Arthur, her step-father, wanted her to be labeled as mentally retarded in order to prevent people from being furious with this girl. Now, Drapier is trying to prove to everyone that she is not too crazy to stand trial. 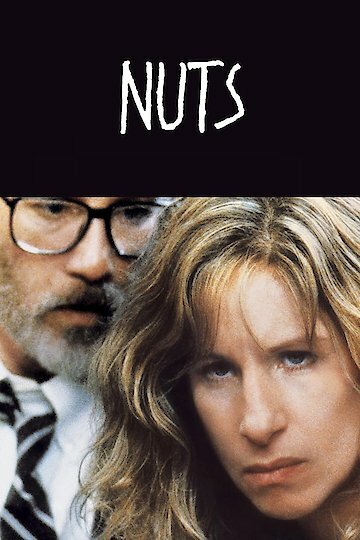 Nuts is currently available to watch free on Vudu Free and stream, download, buy on demand at Amazon, Vudu, Google Play, iTunes, YouTube VOD online.